Three years ago I fell in love with the nail art of Teena Olsen. I actually tried to get an appointment with her for my 30th birthday nails, but it didn't work out. 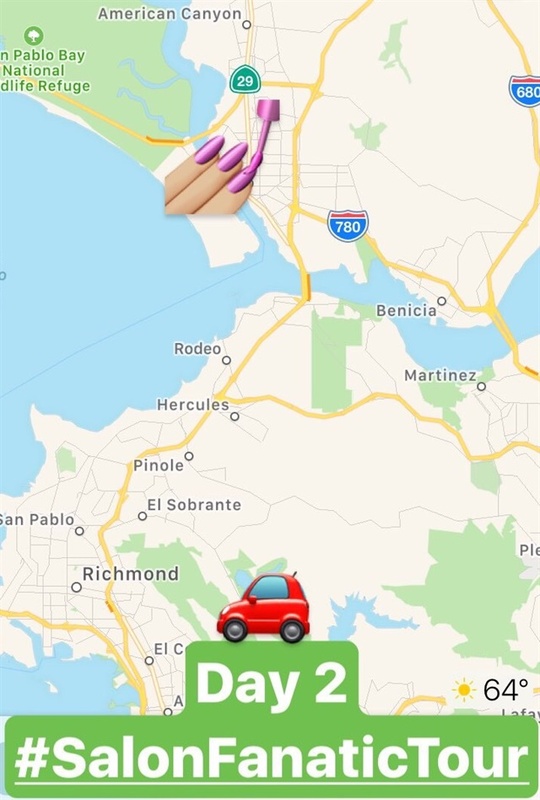 Thanks to the Salon Fanatic Tour, however, her nail space (located between Rohnert Park and Woodland) fit in my route exactly. I made the one hour drive to Vallejo, Calif. to get a very special set of nails. 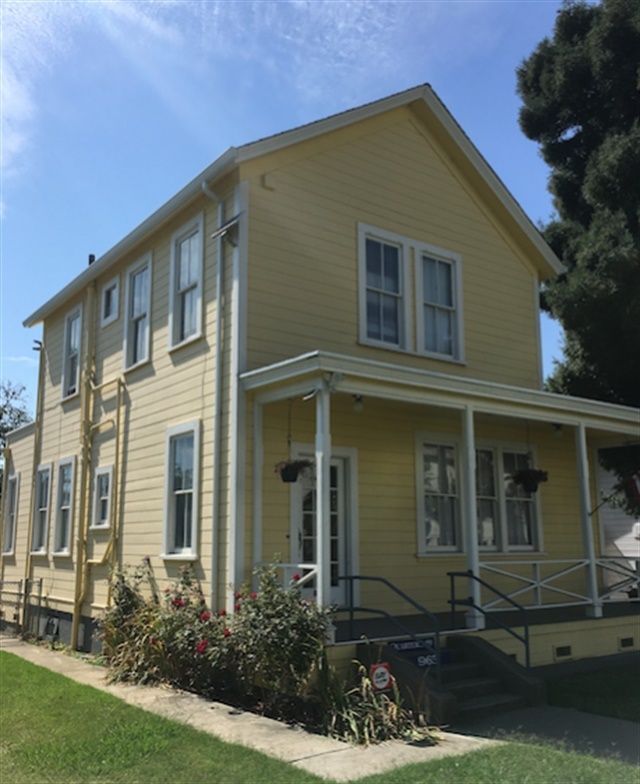 Olsen's studio is a room in this second story house. 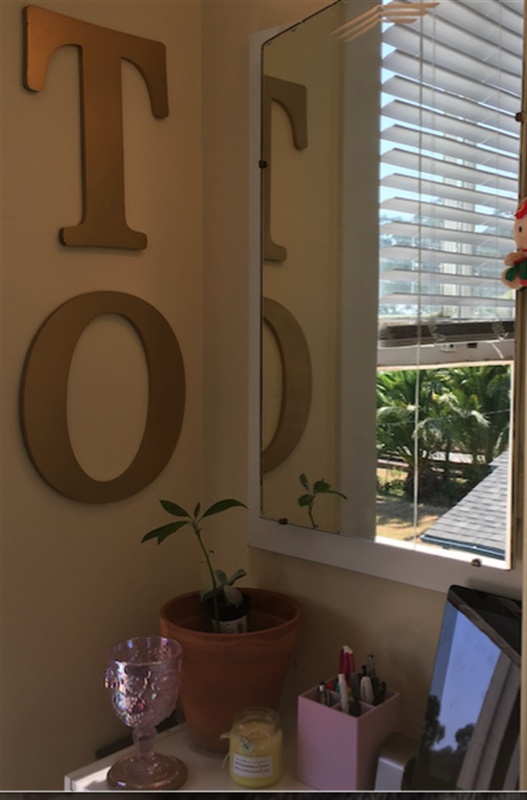 It perfectly suits her, as the room allows for ample sunlight and allows for a quiet space for clients to enjoy nail art (Olsen does not offer pedicures). The seemingly quiet area has been jumping lately, as it's the location where Transformers and 13 Reasons Why are currently being shot. Olsen says she has been hearing and seeing interesting things lately such as helicopters and on-set explosions. 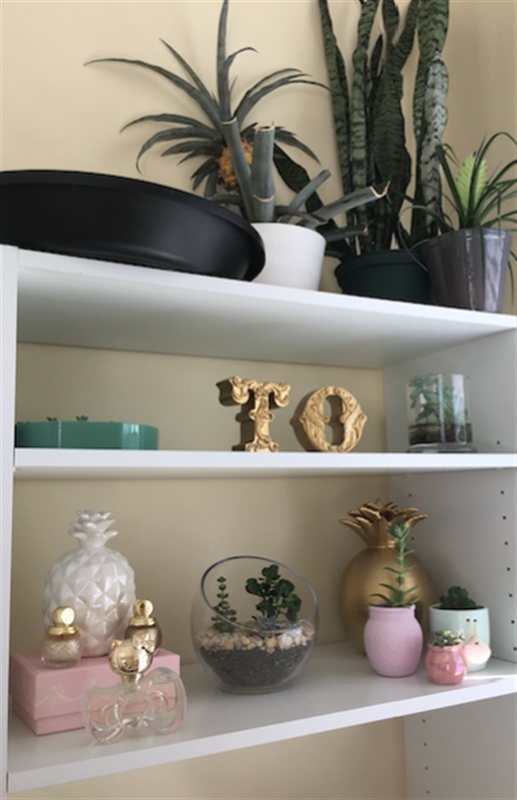 Other than nails, succulents are Olsen's obsession of choice. She decorated the entire space with gold accents herself, along with some help from her father-in-law. 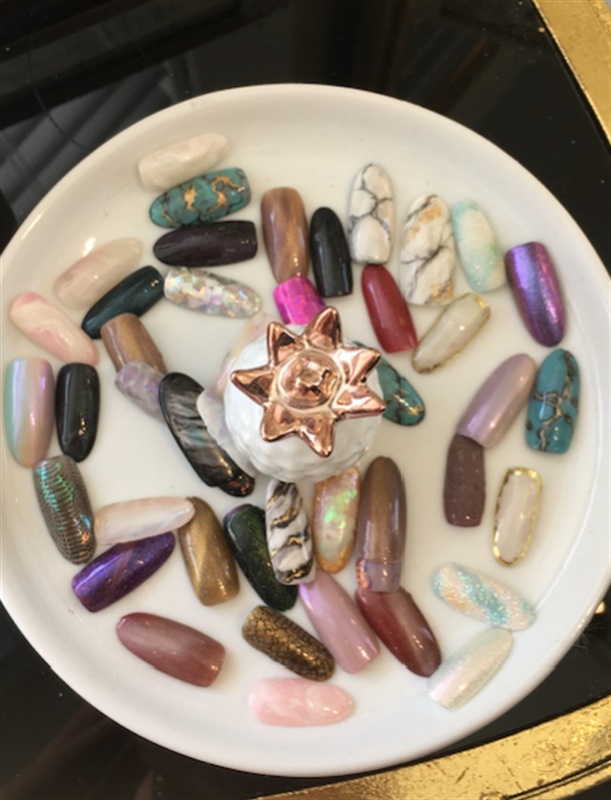 Gel-polish only with of course, a healthy dose of nail art and bling are Olsen's offerings. 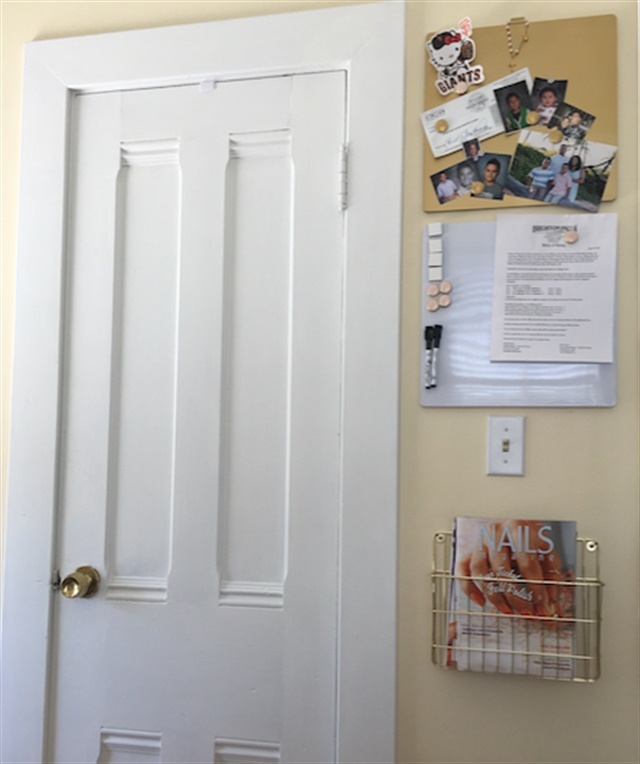 She shares a kitchen space and communal bathroom wtih the other businesses in the home. Since Vallejo used to be a naval base, most of Olsen's clients have followed her in from Sacramento, where she used to work. 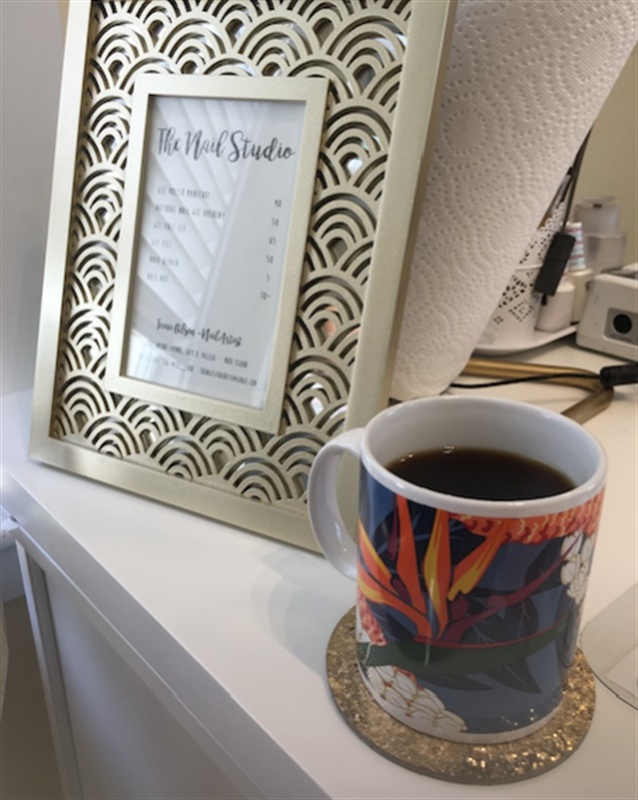 When it comes to nail design, Olsen's clients typically come with fashion-based inspiration. Since Olsen works alone, she carries a variety of colors and lines to accomodate more of the type of art she does rather than an array of offerings. 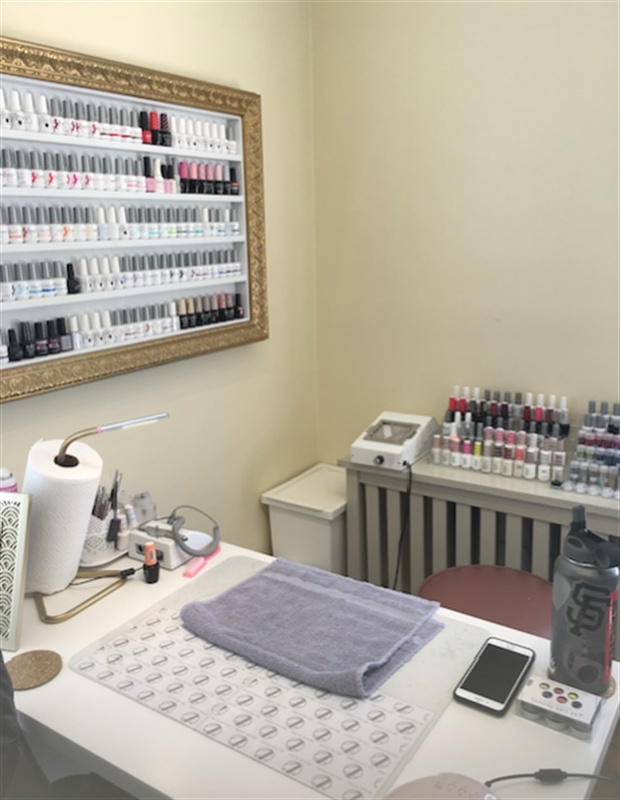 LeChat's headquarters are actually located not too far from Olsen (in Hercules, Calif.), so she goes there for classes and carries their gel-polish. Olsen's step-and-repeat bears her logo (her initials) and is secured onto her table, for instant photo-taking. Olsen free-hand painted the vintage print on my nails using gel-polish. The print is actually on the cover of The Apron Book, which I wrote the foreword for. See the inspiration and more pictures of the finished set @tee_ohh.